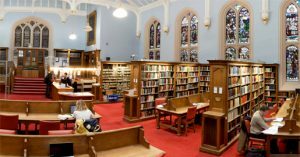 New College Library welcomes attendees of the General Assembly of the Church of Scotland, which will take place between 21 and 27 May 2016. Church of Scotland visitors to the Library are encouraged to apply for a free reference access card, for which photographic ID, proof of address and colour passport-size/style photograph is required. If you are applying for a reference card you may fill in the application form online before visiting the library, and you can check the online library catalogue, DiscoverEd, in advance of your visit. Borrowing access is also available, please ask Helpdesk staff for details. Alumni of the University of Edinburgh are entitled to additional library benefits, including free borrowing and access to JSTOR online journals. Both reference access and alumni library cards entitle the holder to use not only New College Library but all of the University of Edinburgh libraries, including the Main Library at George Square. This year General Assembly visitors may be interested to visit the Given in Good Faith exhibition being held at the Main Library’s Centre for Research Collections. This highlights some of the treasures of New College Library, through themes of church history, worship, science and scripture which would have been familiar to the staff and students of New College in 1843. Researchers wanting to trace previous discussions of this year’s debates can consult the Reports to the General Assembly or Blue Books, which are held in New College Library at sLX 50 B. This year’s Blue Book is available to download from the Church of Scotland website. For further information on Church of Scotland resources see Researching the Church of Scotland at New College Library. 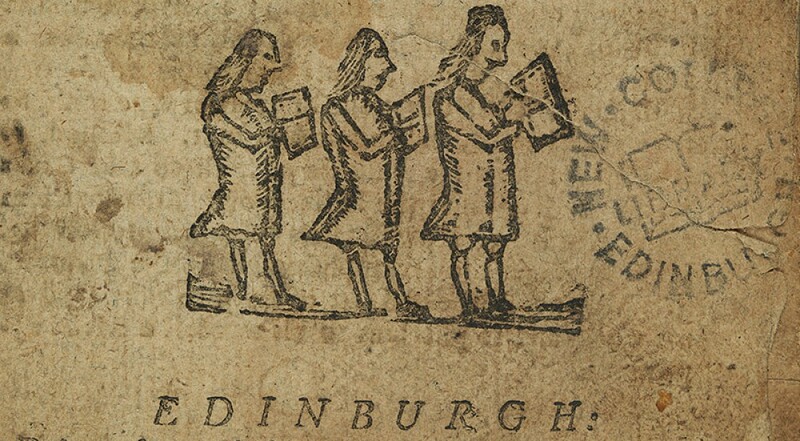 This entry was posted in Library and tagged Church of Scotland, new college library by cloverodgers. Bookmark the permalink.